Truly, that’s what makes reading it “so damn fun”, too; it’s a great story. The Radical Edge is a story about leadership. It’s a story about passion, about the value of doing what you love, for people who you love and doing it in a way that resonates with your core purpose for being. It’s a story for business people and it’s a story for the rest of us. It’s a two hour read that I literally couldn’t put down until it was finished. (Which made for a bit of a bleary-eyed next morning.) And best of all, its message is simple. "The only way to change the world is to be fully in it, my young friend." World”. No small challenge, to be sure. 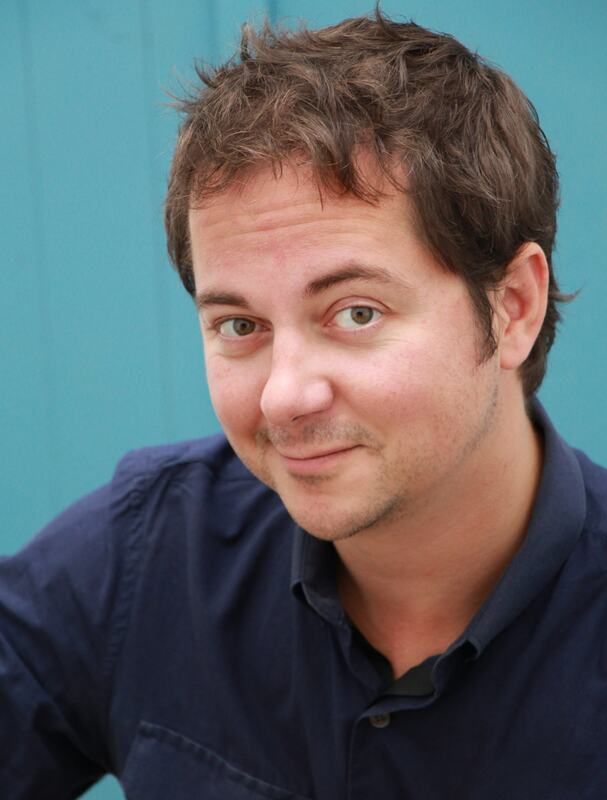 Through three distinct stages of the story, though, Farber teaches how to do exactly that. It may sound overwhelming at first blush, but (and perhaps it’s a credit to Farber and his writing style) once you’re through the book, you feel equipped to take on all three – your business, your life, and the world around you. Farber teaches that small, steady, deliberate changes in your regular behaviour can have a dramatic (some might say “world altering”) impact on your life and the legacy you leave in your wake. One of the overarching themes of the book is the value of non-judging observation and appreciation of the world around you. As human beings, we are so quick to judge. We categorize, assume and stereotype just about everything we see, hear, touch, taste or feel. We often take the 80% of something that reminds us of something else and disregard the 20% that makes it truly unique. We forget that it’s in that remaining 20% that we can learn. Don’t judge. Don’t “think you know” what’s about to happen. Slow down your thoughts for a moment and work to appreciate the idiosyncrasies that make the people, places and experiences around you one-of-a-kind. "…scan and eavesdrop are basically just lookin’ and listenin’. Consider yourself both a scanner and a microphone. Again, you’re not making any judgements on what you’re seeing or hearing, just collectin’ the data that’s coming to you." One of the (many) good ideas from The Radical Edge is the “Wake Up Book”, WUP for short. A WUP is simply a small note book that goes with you… everywhere. Think of yourself as a full time journalist, and the story you’re chasing is understanding the Human Condition. If something strikes you as interesting, regardless of where you are, write it down. No judgments, no action. Just write it down. The exercise is about opening your eyes and ears to the world around you, noting the realities that other people are experiencing. It’s so easy – so natural – to inject our own opinions and experiences into a situation. You see or hear something and immediately think about how you would respond in that situation. Forget about you for a minute. Be the unbiased scanner and/or microphone. Just record. There will be lots of time to think through the potential ramifications of your observations later. "He held himself accountable for everything he ever set out to accomplish – and everything he ever set out to accomplish would, if successful, change some piece of the world he touched for the better." The benefit of the WUP exercise will (for most people) be twofold. One, you’ll gain a greater appreciation for the diversity of people, opinions and ways to experience the world. This unto itself will make you a better communicator, a better leader. If that wasn’t enough, using a WUP will also give you a greater awareness of opportunities all around you. Stepping out of your head and into the wide world of other people’s thoughts and actions will introduce you to a wider pool of need. People – consciously and unconsciously – share their desires and challenges all the time. The WUP allows you to collect those desires in one place for later reflection – a “connecting-the-dots” exercise, if you will. I truly believe that the simple act of carrying and using a WUP will make someone more successful – as an entrepreneur, an employee or human being in general. To quote Uncle Ben from Spiderman, though, “With great power comes great responsibility”. True leaders – the kind whose legacies live on forever – act in the best interest of their world. How you define your world is up to you, but all action you take should be with the intention of leaving that world better than you found it. That’s the sign of a great leader. So, as you ponder the findings in your WUP, do so with this question front of mind: “How can I use what I’ve learned here to make the world a better place?” Start asking (and answering) that question, and you’ll begin to realize a passion and excitement that’s hard to match. There are dozens of great lessons in The Radical Edge, and we’ve only touched on a couple of them here. The intangible value of this parable is the sense of fun you gain from reading it. The characters have a realness to them that allows you to connect more with the story as a whole. The lives they lead, and the camaraderie they share in their passion to change the world is exciting, inspiring and (best of all) duplicable. 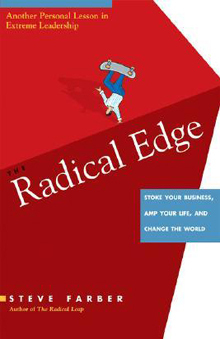 I encourage you to pick up a copy of The Radical Edge today, and begin your own path to “stoke your business, amp your life, and change the world.” Have fun doing it, too.